A black Butyl tape for joining membranes along the flange where membranes overlap. 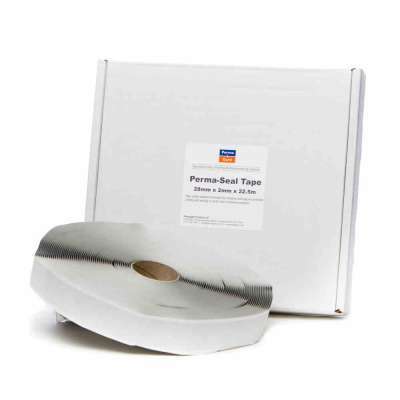 PermaSEAL damp proof membrane jointing tape is a black Butyl tape used for joining PermaSEAL membranes along the flange where they overlap. It is used for abutting joints, for repairs or where membranes have been cut to enable them to overlap such as at corners, reveals, wall/floor joints or protrusions through the membrane. It is an excellent general purpose sealing and repair product. It is also suitable for jointing green roof membranes as additional protection against roots.